By the time you read this, the “pick you own” strawberry fields should be ready at Lineberger’s Maple Springs Farm in Dallas and elsewhere locally. 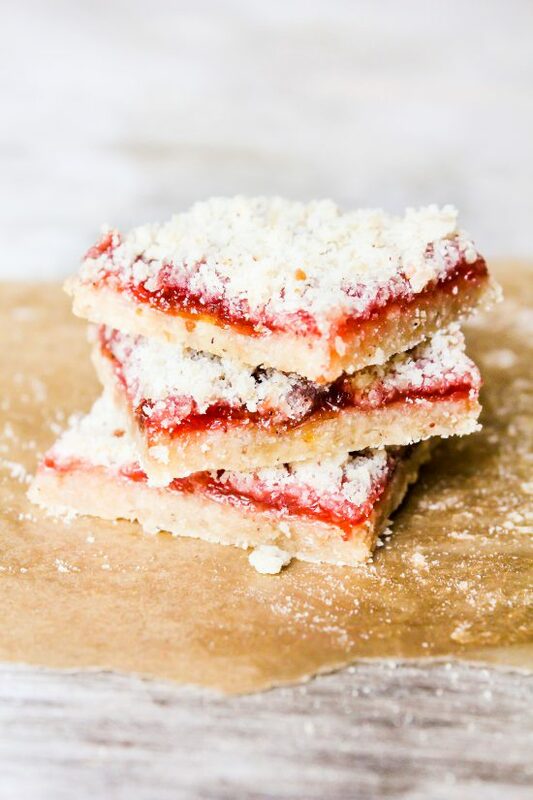 Here’s an easy, delicious recipe for strawberry crumb bars that are great desserts, anytime with coffee, or as an after school snack. 1. Preheat oven to 375ºF. Grease an 8×8-inch baking pan. 2. Chop the strawberries and set aside. 3. In a medium bowl, stir together sugar, flour, baking powder and salt. 4. In a measuring cup or small bowl, beat egg with a fork. Add the egg and vanilla to the flour mixture. 5. Using a fork or a pastry cutter, cut the butter into the flour mixture. Work with the dough until the pieces are very small. Dough will be crumbly. Pat half of the dough evenly into the bottom of the prepared pan. 6. In another bowl, stir together the sugar and cornstarch. Stir in the chopped strawberries. Spoon the strawberry mixture evenly over the crust. 7. Crumble the remaining dough over the strawberry layer. 8. Bake in preheated oven for 45 minutes, or until top is slightly golden brown. 9. Cool completely before cutting into squares.